The late Cretaceous rock unit exposed throughout much of northwestern Alberta is known as the Wapiti Formation, named by George Dawson for the river along which many of its outcroppings can be found. 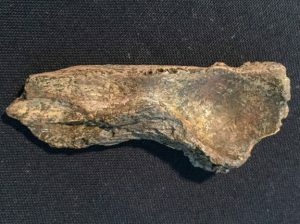 The Wapiti Formation overlaps in age with other rock units from the southern parts of the province, namely the Dinosaur Park, Bearpaw, and Horseshoe Canyon Formations. However, while these southern formations have been extensively researched for over a hundred years, the Wapiti Formation has been largely ignored by professionals until fairly recently. Lacking vast swaths of badlands where fossils can be found with relative ease, Alberta’s northwest is mostly covered by dense forests and farmlands, which means getting to exposures and looking for fossils usually isn’t easy. Sometimes, even when we can perfectly describe the preserved anatomy of a fossil animal, we still don’t always know where it falls on the tree of life. This is certainly true for South America’s newest dinosaur, Murusraptor barrosaensis, a new megaraptorid meat-eating dinosaur from the Late Cretaceous of Patagonia, South America, described recently by museum namesake Philip Currie and his colleague Rodolfo Coria, who led the study. 9 awards in 9 months! We have received our ninth award, after being open for only 9 months! Read more about the Prairie Design Award for Excellence below! DINO MUSEUM WINS 2016 PRAIRIE DESIGN AWARD FOR EXCELLENCE. 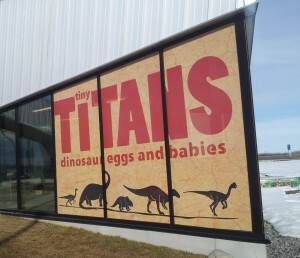 Setting an unprecedented incredible 9 Awards in 9 months, the Philip J. Currie Dinosaur Museum has notched up a formidable array of endorsements! 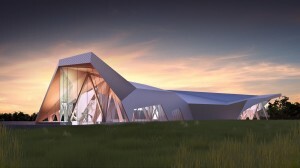 The 2016 awards were hosted and organized by the Saskatchewan Association of Architects jointly with the Professional Associations of Alberta and Manitoba, and were announced on June 3rd at the Mackenzie Art Gallery in Regina, Saskatchewan jointly with the professional Architects Associations of Manitoba and Alberta. One hundred and one submissions were received in four categories: Recent Work, Small Projects, Landscape Architecture, and Interior Design. Of the projects selected, four received the Award of Excellence. We are the seventh biggest Museum Opening of the year! According to Condé Nast Travelerm well known traveling and lifestyle blog, the Philip J. Currie Dinosaur Museum (us!) ranks as the seventh largest museum opening of the year for 2015. We are now officially ranked amongst world-class heavyweights such as the Shanghai Museum of Natural History and the Singapore National Gallery. This reinforces the fact that wherever you’re located, be it a small town or a buzzing industrial city, content is key; we are intimately tied to our rural setting, providing an experience unrivaled in the entire world. 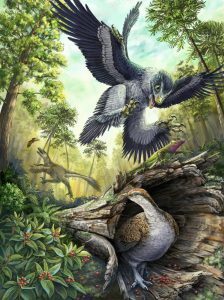 There is a new raptor dinosaur (dromaeosaur) in town. 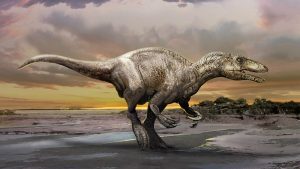 Boreonykus certekorum (meaning “Certek’s northern claw”) is the newest dinosaur named from the Peace Region. Recently described by former Philip J. Currie Dinosaur Museum palaeontologist Phil Bell and our namesake Philip Currie, this new species hails from the Pipestone Creek bonebed that features prominently in the galleries here at the museum. 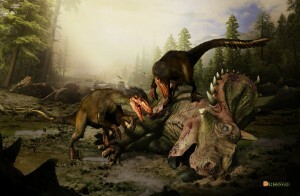 If there is one thing that I am really happy about in terms of how dinosaurs are portrayed in modern popular media, it’s that the public’s perception of dinosaurs as lumbering, uncaring beasts has largely given way to the idea that dinosaurs were intelligent, interesting animals with fascinating behaviours, behaviours that scientists are actively piecing together. However, I think most people, when they think of dinosaurs, usually still think about them as fully-grown animals. Few people think about different kinds of dinosaur eggs and nests, or what we actually know about baby dinosaurs or how dinosaurs grew. Fewer people still seem to know that baby dinosaurs also differed in proportion to adult dinosaurs and also often lacked the horns, hooks, and crests of their adult counterparts. The Amber Ball pictures are out! Along with the photographs from the Cornerstone dedication, the VIP reception and the Harley Davidson bike ride, the professional pictures taken during the Amber Ball are now available for download. Follow these links to get them!